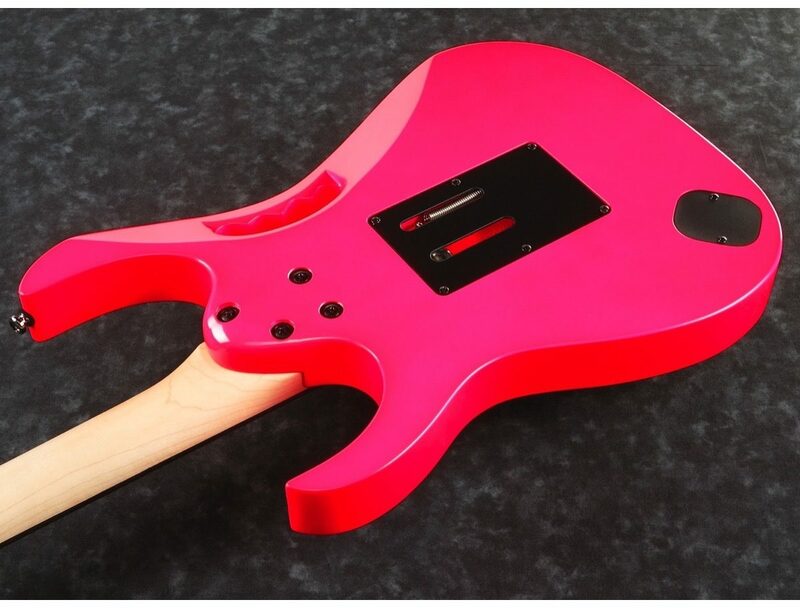 In an effort to make the JEM available to a broader fan base, Ibanez has released the JEMJRSP, providing more affordable access to the magic that is the JEM. Featuring a Mahogany Body attached to a Wizard III neck, the JEMJRSP offers many of the JEM’s distinguishing characteristics; the H/S/H pickup configuration, the “Tree of Life” inlay, a double locking tremolo system, and of course, the famous Monkey grip and Lion's Claw tremolo cavity. Overall: I have the white one. I bought it used cause I just didn't think the vine inlays, monkey grip and lion claw was worth the 150-200 dollar mark up. Since essentially this is just a RG 450DX. However, what I love is this guitar is so easy to customize. Real Floyd fits perfectly. So installed a real floyd, installed a full set of Dimarzio pups and now the thing looks and sounds like a 2k-3k Jem. But if you don't want to upgrade or can't do your work, this is still a great guitar. 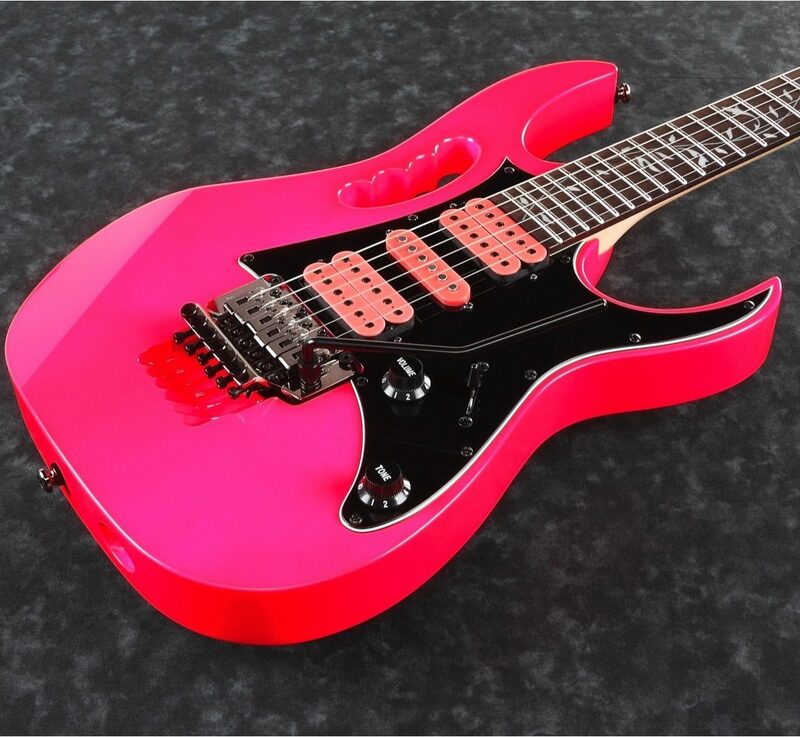 I don't care to much for the "DL" trems these lower priced Ibanez guitars have gone to. The pups are decent for stock. I plan on buying the full collection, just hoping they release the lochness green w/ the pyramid inlays on maple fretboard this next year. "Bought this guitar for my daughter"